Making the perfect cheesecake at home is not complete without a springform pan. It is a baking equipment that enables you to create mess-free and hassle-free cheesecakes. You can achieve the classic circular shape of a cheesecake with the help of this baking tool. Professional bakers are not the only ones who can use this baking staple. Home bakers can also take advantage of its many benefits. If you like cheesecakes and you fancy making one at home, it would make sense to have one or two reliable springform pans so you can whip up your favorite kind of cake any time. Any baker will find the springform pan indispensable in their baking repertoire. 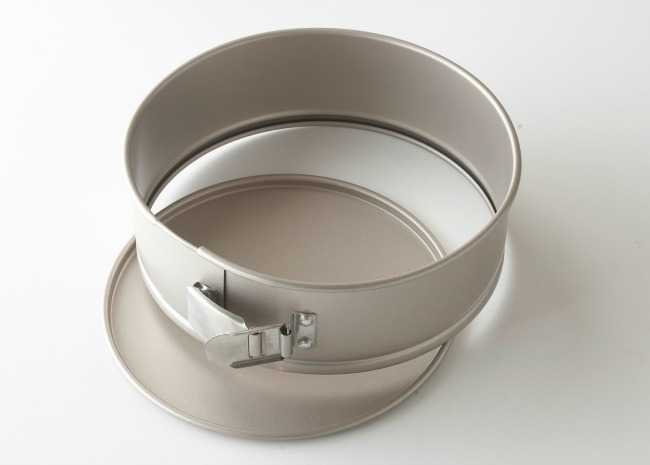 It is a kind of bakeware with separated sides. There is a lock that secures the sides together and keep them secured to the base. When you remove that lock, you can easily remove the sides so that the cake you baked will easily slide out. It keeps the shape of the cheesecake intact. These pans come in different shapes and sizes such as circle, rectangle, square and heart shapes. Most bakers opt for the circular ones as this is the traditional shape of cakes. You can get them in basic 9-inch sizes but there are also smaller or bigger ones these days. Springform pans are often made using anodized aluminum but there are also those products made from heavy gauge steel and even glass. The aluminum and steel ones have a layer of non-stick coating as well as waterproofing at the base area to prevent leakage. 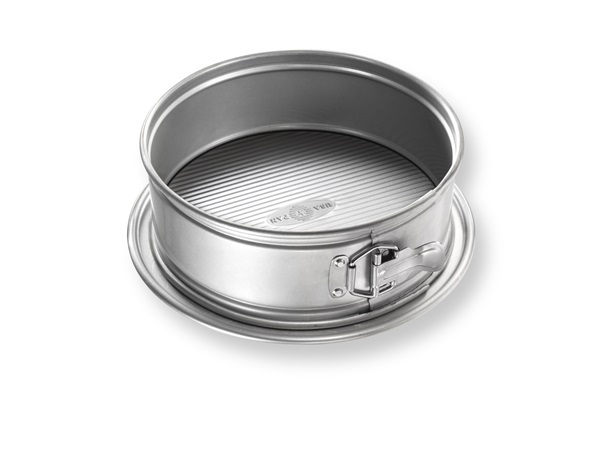 Some springform pans also come with waffled bottoms. It is a common knowledge that dark colors are efficient in absorbing heat. Meanwhile, light colors have reflective properties. They fend off the heat, which causes longer baking time. If you want to bake the cake with utmost precision, light pans are the ideal choice. But for quicker and fully-cooked output, you should get dark-colored pans. It’s important for the springform pan you are buying to have non-stick properties. This feature prevents the food from sticking to the pan. Take note that cheesecakes are soft and fragile. Once they stick to the pan, it will be difficult to remove them without ruining their shape. There are two types of springform pans that exist in the market today: the metal and glass pans. The metal pans are easier to use just because they are more resistant to damages. Glass pans could be susceptible to breakage and will require more careful handling. You can also find silicone springform pans today. A lot of bakers prefer using this kind of material because it is pliable, and you get more consistent results. It also doesn’t damage the end result as the baked good slides out easily. These pans are also easier to store because they can be compacted. 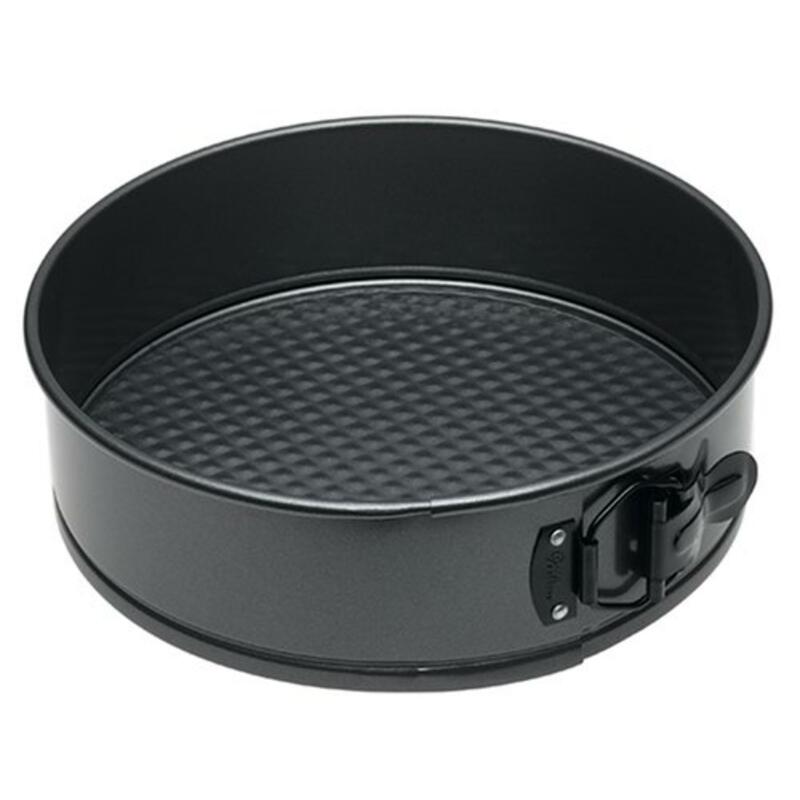 Farberware Nonstick Bakeware Springform Pan is one of the finest springform pans that you can get today. From its structure down to the results that it can give, this pan does not lack a thing. 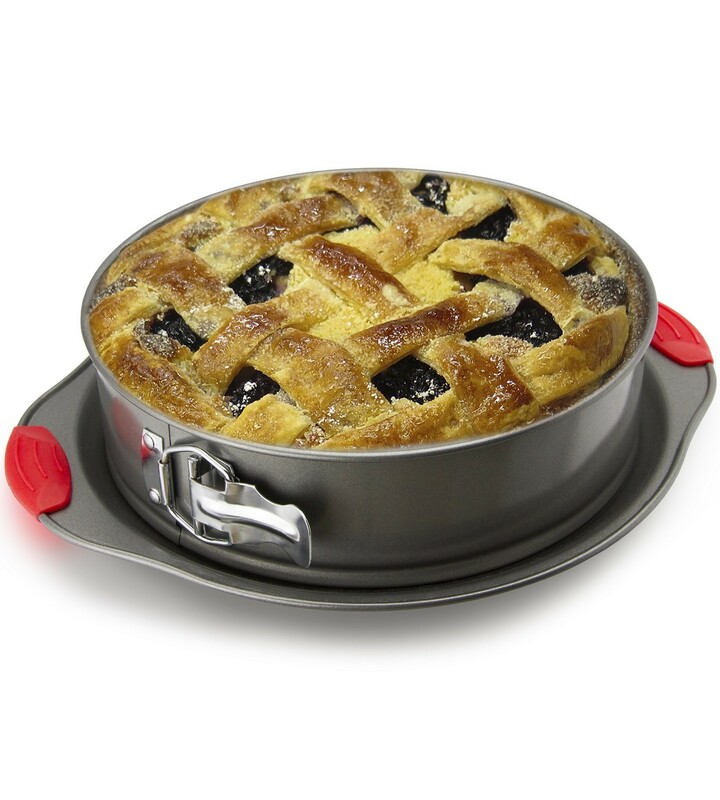 It is a food-safe baking ware that is capable of long-lasting performance without warping or rusting. The non-stick coating of the Farberware Springform Pan ensures that your cheesecakes and pies will remain beautiful and presentable throughout the baking process. It can turn the dish into perfectly-balanced and browned desserts. It can release the cake smoothly and free from any blemishes. ​The entire springform pan has high heat resistance. It can endure temperatures that as high as 450 degrees Fahrenheit. Even if things get scorching hot, the structure of the pan won’t be altered and compromised. The size of the pan is also adequate enough to prepare large cheesecakes, tortes, and tarts. If you are going to use cheesecake mixture that is a bit more on the runny side, you might want to check out the Nordic Ware Springform Pan. It is a dark-colored pan that has a tried and tested reputation in preventing the ingredients from leaking out. It comes with tight seals that ensure that spills won’t happen, even if your ingredients are almost liquid-base. Because of its dark color, the Nordic Ware is capable of quick baking. It improves the speed of your preparation, which is necessary if you are preparing a large batch of desserts. But don’t worry a thing here. This particular springform pan has a high-heat resistance. No warping will take place even if you’ll expose it scalding hot temperatures. The Nordic Ware Springform Pan also promotes even cooking. There are no uneven spots that cause overcooking or undercooking. The non-stick coating ensures quick and mess-free food release. The same feature also allows you to clean the pan easily. But take note: this pan is not dishwasher safe. You still have to manually hand-wash it with the use of mild detergents. The reputation of the USA Pan Bakeware Springform Pan should not be whittled down. 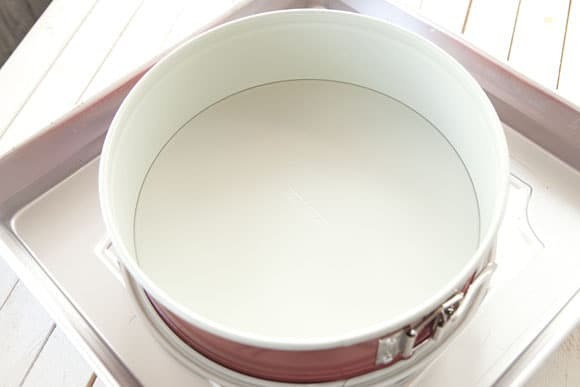 Many professional bakers acknowledge the performance of this pan in baking delicate desserts such as cheesecakes. It has useful features such as quick-release latch handles. Just by a simple flip, fragile desserts can be removed without inflicting damages. This is one heavy-duty pan and customers who have tried using it can attest to how durable it is. It is crafted from aluminized steel so that it can serve you long and adequately. Of course, the material is food-safe. It doesn’t impart any taste to the ingredients. Furthermore, the non-stick coating improves the ease of cleaning and maintenance. 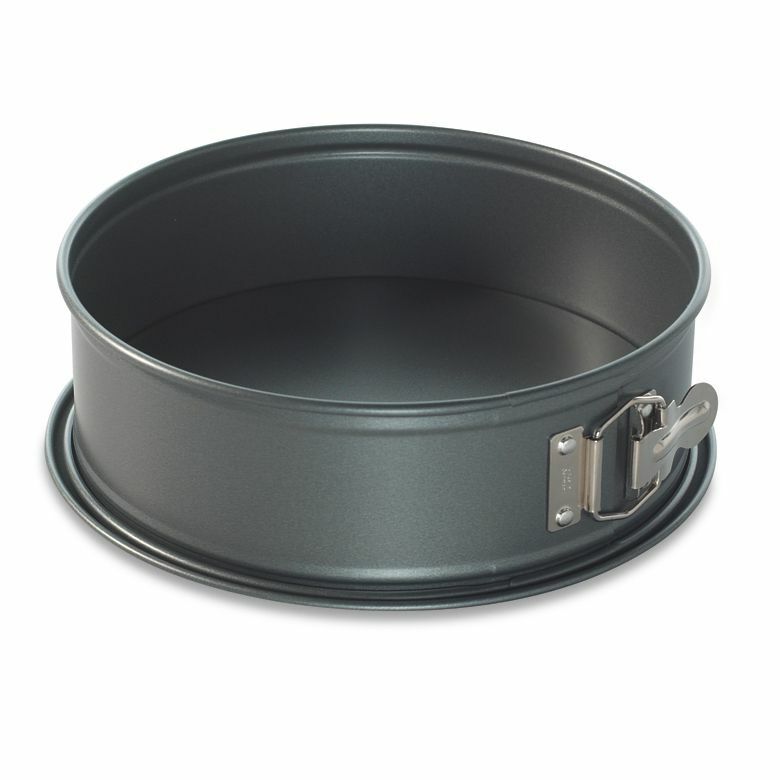 This springform pan has a fluted design on the inner surface of its base. It is an innovation that optimizes the airflow inside the pan while maximizing its physical strength. As a result, the structure of the pan becomes less susceptible to warping. Scratches and dents will not happen easily to the pan because of its solid construction and build. Another professional grade springform pan that exists today is this unit from Boxiki Kitchen. It mainly boasts of a premium non-stick interior surface for a better release and clean-up. The food can be taken out from the pan without leaving crumbs behind. It is a good baking ware for a variety of soft ingredients and cakes. However, the most notable feature of the Boxiki Kitchen Non-Stick Springform Pan is its silicone handles. These red-colored handles provide an easy-grip mechanism. They allow you to handle the pan easily and safely even inside the oven. Meanwhile, the tight sealing of this pan gives it a defense against leakages and spills. The pan has a decent performance in spreading the heat equally. It can create burn-free and scratch-free cheesecakes all the time. It can be safe to be used in temperatures of up to 445 degrees Fahrenheit. And unlike other springform pans, this one is dishwasher safe. You can even store it in your freezer and refrigerator. The ergonomics of the Wilton Excelle Elite Springform Pan is something that makes a cut above the rest. It has been on the market for quite a time already and pro bakers are still happy about it now. This 9-inch pan provides a superior non-stick baking surface. No mess and residues will be left out once you release the sides already. Moreover, the heavy duty construction of the device is impressive. It is designed from a food-safe steel that has a black coating. It can rapidly heat up for quick and fuss-free baking. The heat resistance of this tool is top of the line, too. You can see that it won’t warp even if you expose it to temperatures that as high as 450 degrees Fahrenheit. There are also extended handles that have been integrated into the pan. It allows you to safely lift the pan from the oven. Moreover, this item can be safely washed in the dishwasher. You don’t have to consume several minutes just to clean it. 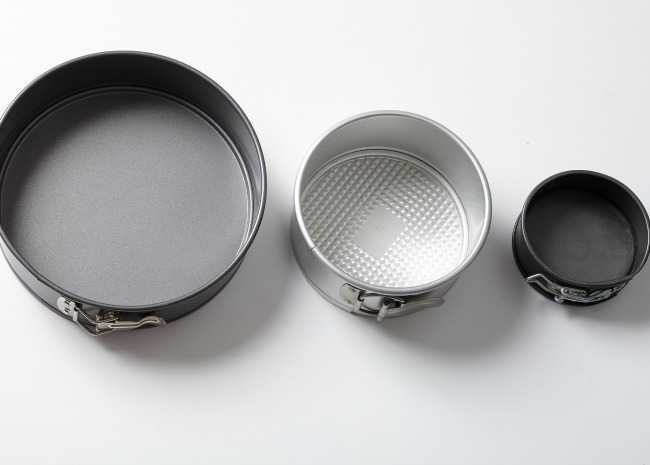 The pan can be collapsed completely for easier storage. The right springform pan is essential when it comes to baking the perfect cheesecake. If you ask me, you can’t go wrong with any of the above-mentioned products. If you are looking for something that is easy to clean and will last you for a long time, I recommend that you get the Boxiki Kitchen Non-Stick Springform Pan. 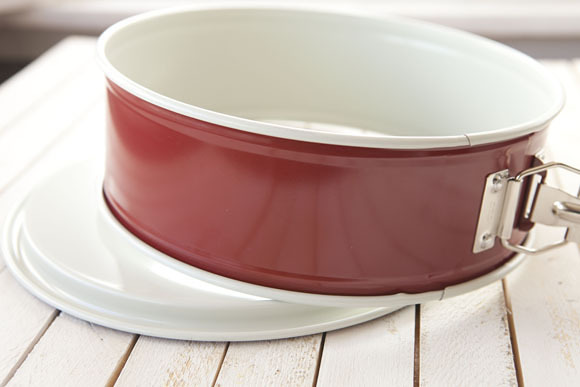 It just trumps others when it comes to ease of clean-up as it is dishwasher-safe. For more professional bakers or serious home bakers, get the Wilton Excelle Elite 9-Inch Springform Pan. It is ideal for heavier usage as it is resistant to warping. It can also withstand higher oven temperatures, so this can be your ally for all your baking needs. If your particular cheesecake recipe is a bit on the runny side before baking, you should get the Nordic Ware Leakproof Springform Pan. Its sealing capacity is unparalleled. It truly does prevent your ingredients from getting out of the pan. No mess and no wasting of ingredients. The same is true for the USA Pan Bakeware Springform Pan. It can be relied on for its leak-proof design, but it also doesn’t lag behind when it comes to durability. Additionally, the improved airflow design allows air to circulate so you can get the best cheesecake results. 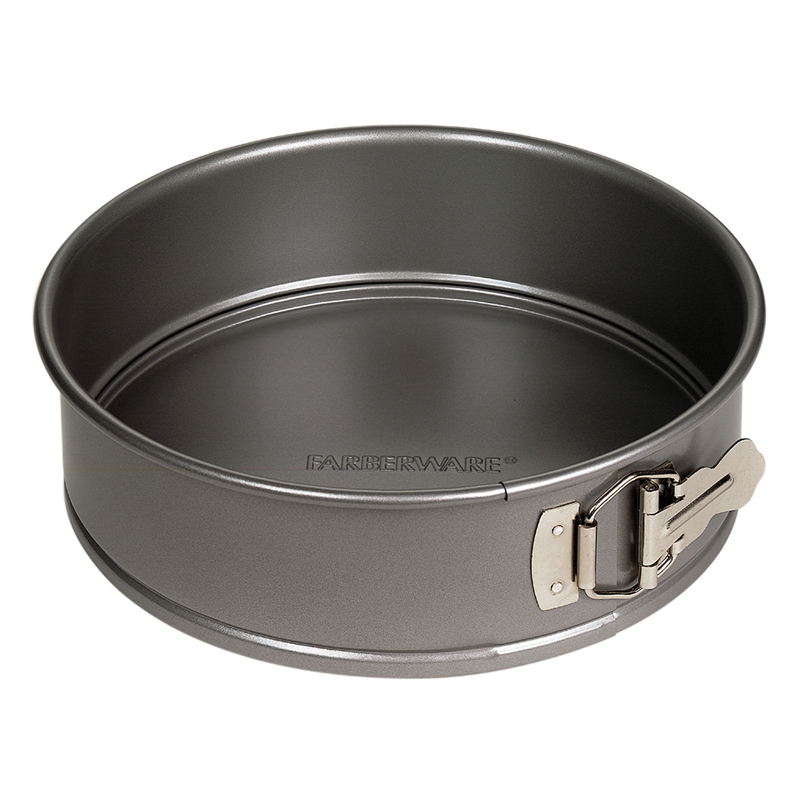 For a starter springform pan, the Farberware Nonstick Bakeware won’t disappoint. It might not have all the bells and whistles, but it does perform well for its price. Do check out my homepage to find more baking and kitchen tools and equipment to add to your home. You can get recommendations on products to buy and read reviews and buying tips for more confidence in buying. Baking can seem daunting to many people. It requires precision and attention to detail. It also requires tools and equipment. But once you learn how to bake, so many recipes will be unlocked. You can whip up just about any dish. You can prepare your food in advance and just stick them in the oven to bake when you are ready to cook them. It’s a very useful skill that everyone should learn. You can enjoy baking by yourself. So many people find this relaxing and it acts as a therapy and stress reliever for some. You can even use this to bond with friends or family. 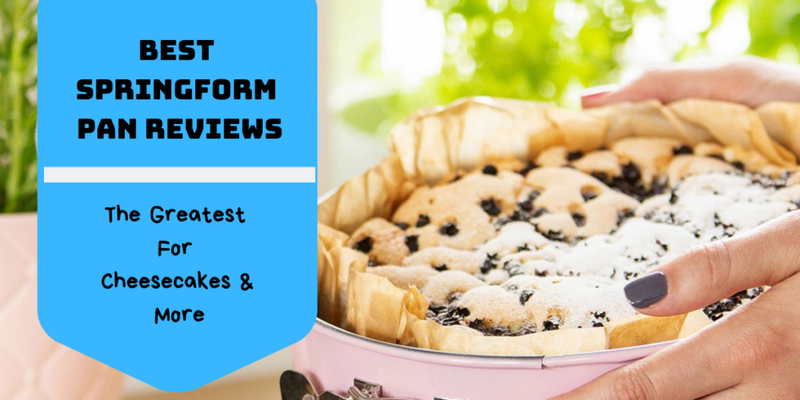 Once you have decided to learn how to bake, make sure you get some basic baking equipment and bakeware to help you out. 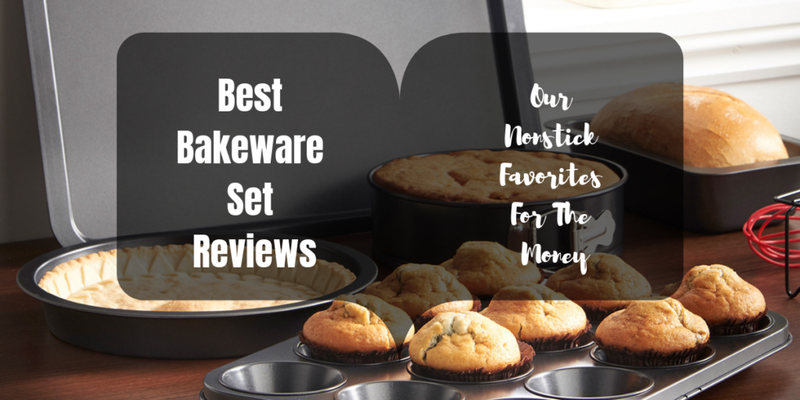 We checked out what the market has to offer and found quite a number of reliable bakeware set that you can use during your beginner days but can also work well even as you advance your skills.